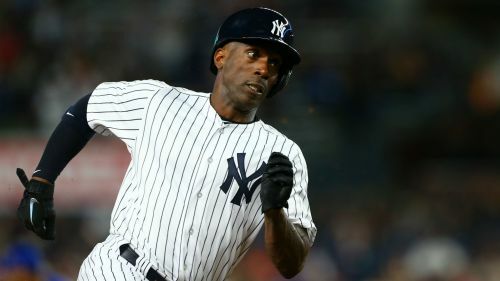 New York Yankees outfielder Andrew McCutchen turned up the heat in an 11-0 win over the Toronto Blue Jays in MLB on Friday. Acquired by the Yankees from the San Francisco Giants before the August 31 waiver deadline, McCutchen collected three hits with two walks. He also hit his third home run with the Yankees and scored two runs. While the Yankees (91-56) were expected to beat the struggling Blue Jays, the win helped them remain 1.5 games ahead of the Athletics for the top American League wildcard spot after Oakland defeated the Tampa Bay Rays 2-1 in 10 innings. Chen Wei-yin started the game, allowing five earned runs off seven hits in just four innings. But Miami also had three relievers allow three earned runs apiece in a 14-2 loss to the Phillies. Philadelphia remains 7.5 games back of the Braves in the National League East. The Nationals may have found a gem in Juan Soto. Despite making some big splashes before the July non-waiver trade deadline, Los Angeles are still chasing the Rockies in the NL West. The Cardinals are fighting for a wildcard spot as they currently sit behind the Cubs and Brewers in the NL Central. Rich Hill (8-5, 3.88) will take the mound for the Dodgers, while John Gant (7-5, 3.16) will take the mound for St Louis.